Marwa Rakha is quite the challenging woman. 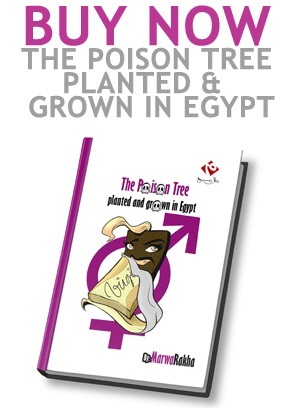 She started as a blogger, and her enlightening ideas lead to the book "The Poison Tree Planted and Grown in Egypt", which included a lot of stuff acknowledged as taboos. 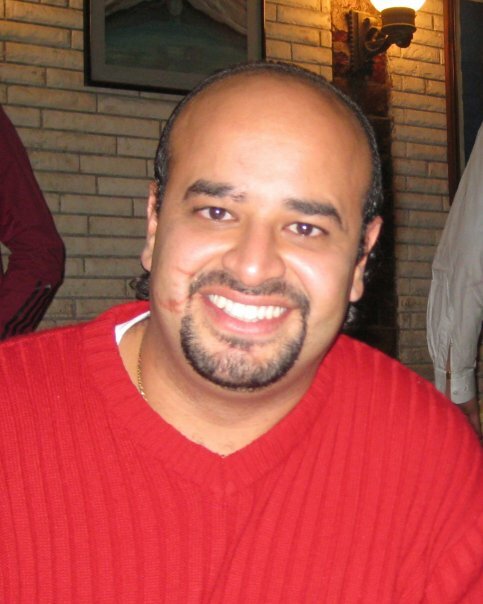 My way of getting in contact with her was so straightforward; I simply called the Radio Nile F.M. as she is on air every Monday night answering people's questions on relationships. I was surprised how down to earth she is. Some call her the Relationships Experts, some call her a Feminist, after this interview, I call her a friend. Me : Marwa, first thanks for giving The Expats' Guide this time. Marwa : It's a pleasure. Me : Allow us to know some things about you, like your birth date. Marwa : 4th of October 1974. Me : Your favorite music? Marwa : I'm a music potato … pretty much all kinds of good music. Me : Your favorite authors? is the capitalist me. Galal Ameen. Me : Now let's go deep. anything, and lying, cheating, manipulating, nagging is not gonna get them there. years and treated as a slave can do today? Marwa : She could say: "Enough". might lead to divorce…. So do you think "enough" is practical? Marwa : Yes it is. Sometimes a woman is better off divorced than being treated as a slave. then I think she's better off without him. Me : What if this "enough" would lead to more violence? stay in an abusive relationship or you leave? You leave. woman what are your fears? Marwa : Failure, I fear failure. Me : Even though you are that successful? falls apart and I'm afraid of making that mistake. Me : Well we are all looking up to you so don't. Marwa : (laughing) Trying not to. and women are feeling today? comfortable in her own skin. But what our culture does is… you have a baby girl and this baby girl is taught: "Don't speak up, don't criticize, don't argue, don't ask why and be submissive. Be submissive to your father, your brother, your male teacher, be submissive to your fianc? or your husband. Me : You mean be submissive to the man. being you, why would anyone feel comfortable in dealing with you? this viral software controlling her and is it possible for this to be changed ever? herself. It all starts with her saying: "I want this to change". Then it will change. But you and I can do nothing. controlled by this viral program, this kind of software? Marwa : She doesn't like it and she wants it to change. wants to say and she needs to have views for herself. think she would ever go out of the house? Me : So girls who are unemployed have no hope? Marwa : No, none whatsoever. want to include in the coming edition? Marwa : That I was wrong in some of my opinions. Me : Could you tell us where do you think you were wrong? Me : (jokingly) O.K. you ruined five questions by saying this !! Marwa : Good ones or bad ones? my book and asked your husband for divorce. I'm not sure if this is a good thing." And she said: "Your book is so liberating and I realized that I don't have to live like that. I can have a life on my own." And that was very moving. It was just out of nowhere. Me : O.K. Marwa on page 84 you say: "I packed him along with my feelings in one dark black bag. I put the bag in the box and I threw it in that forgotten place in my heart." How can you just forget? I mean a lot of girls today have a lot of breakups everyday and it sounded to me so theoretical than practical that you have just put the whole experience in a dark black bag and threw it in that forgotten place in your heart. So if you can just show us how we can find that forgotten place in our heart. I'm sure millions of people want to do the same but they don't know how. 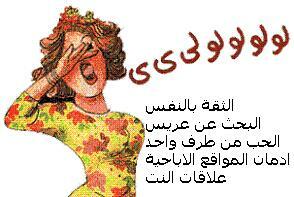 Marwa : O.K. it is very simple. People have moral obligations towards pain. When there is a breakup they feel that there is a moral obligation to suffer. They feel that there is a moral obligation to fall apart. They feel that if they didn't do so then the experience was not real. Now they need to ask themselves one question: "Do I love myself?" If the answer is: "Yes" they go to the next question: "Do I love myself more than I love him?" If the answer is: "Yes" they go to the next question: "Do I love myself enough to end this suffering?" If the answer is: "Yes"
they ask:" Do I love myself enough to have a life and move on and be happy again?" If the answer is: "Yes" then you are ready to put your experience in this dark black bag and put it into that box and throw it away. As long as you don't love yourself you feel that you have to suffer more and that's your problem. There is nothing I can do for you but you decide that you've had enough and want to have a life and you don't want to waste another beautiful morning feeling down and depressed. You put an end to it…. I've been there and thought: "Do I deserve this? Do I deserve to be treated like this? No, so good bye and go away." Me : On page 93 you stated something that really got on my nerves and I think you already said that you were wrong. You said: "There might be a Santa but there is no different man. They are all the same. Their names change, their faces change, their voices change, their bodies change, their geographic locations change and their hunting styles change, but their hallow words and their void promises and their bitter after taste are the same. I'm at a point in my life now where I can safely assume that all men are the same, they are all evil." And let me repeat this: "They are ALL evil." So don't you think you are over generalizing a whole gender. You're judging mankind and I felt reading the book that you were an inch away from judging humankind !! As I read that I thought like I'm glad she stopped there !! (Marwa laughing out loud) So don't you think you are over generalizing mankind as a feminist? experience a better bigger person. Marwa : Of course she wouldn't. Me : You're not as stubborn as you present yourself in your book. Me : Give us tips on how to exhale accumulated anger. out. Write an angry letter to those people who hurt you expressing how you feel. start, a fresh start, a happy start." you. You are a woman from hell.